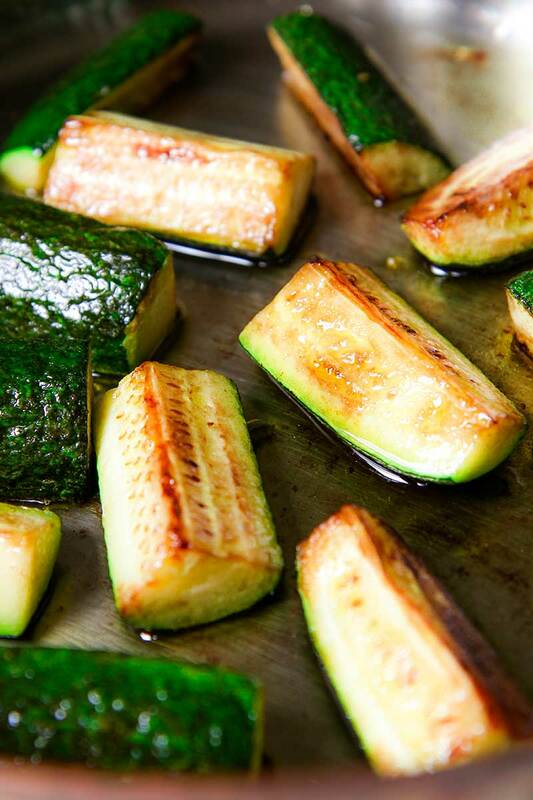 Pan fried zucchini is an easy recipe, great aside eggs or meats. 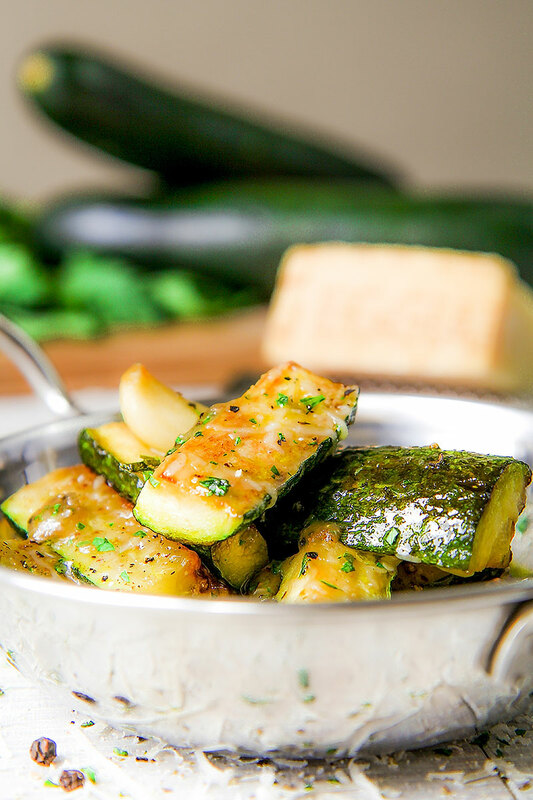 I love sear zucchini before cooking them slowly along with garlic and Parmigiano Reggiano cheese. A sprinkle of black pepper and minced Italian parsley complete this tasty recipe. Delicious just cooked, but great reheated as well! Peel and crush the cloves of garlic. 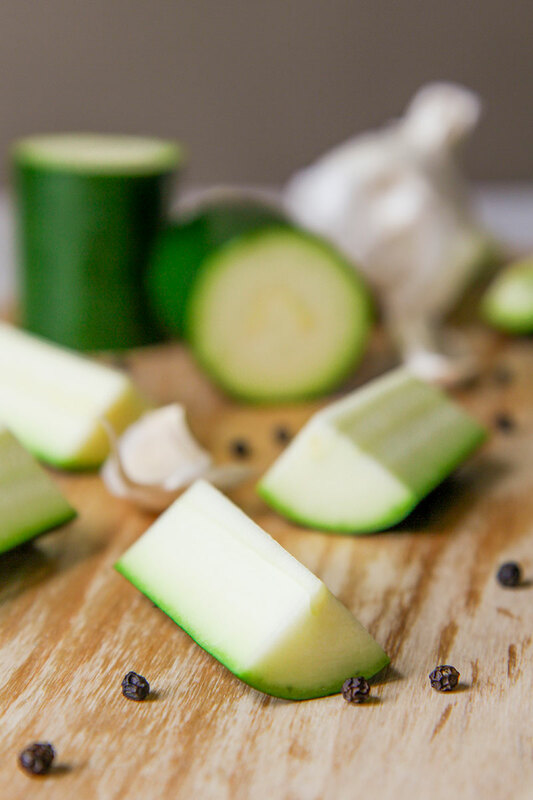 Rinse zucchini and cut them into rounds long 2 inches, then cut zucchini chunks into quarters. Drop the olive oil into a pan and place over medium heat. When the oil is hot but not smoking, pour the garlic. Sautè the garlic until golden, then take out from the pan and save it aside. Raise the flame, then pour zucchini into the pan. Sear zucchini until golden brown, stirring occasionally. When the zucchini are golden brown, lower the heat and add 2 tbsp of grated Parmigiano Reggiano cheese and the golden garlic we previously saved. Salt as needed, stir well and cover with a lid. 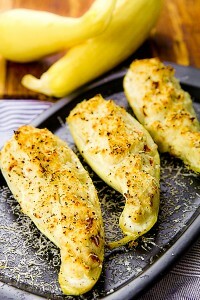 Cook until are zucchini well cooked but not mushy. 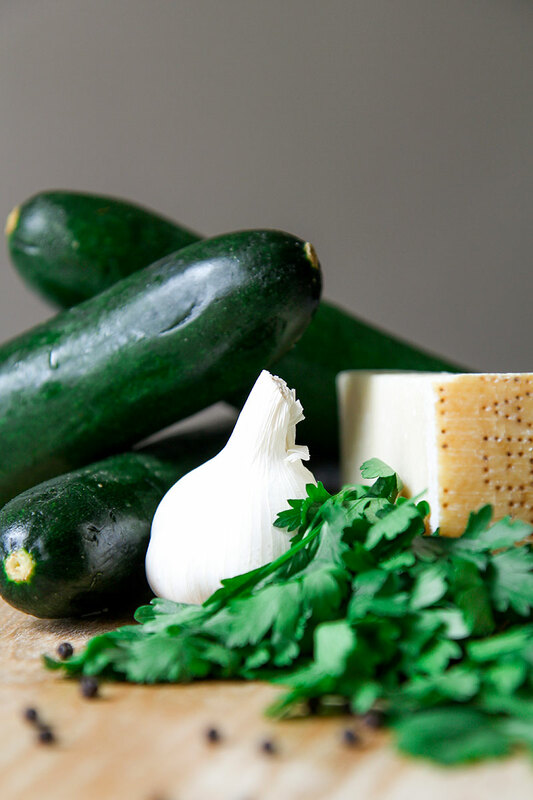 Turn off the heat and complete pan fried zucchini with the remaining of grated cheese, a dash of black pepper and a sprinkle of minced fresh parsley. Cover with the lid and rest far from the heat before serving.